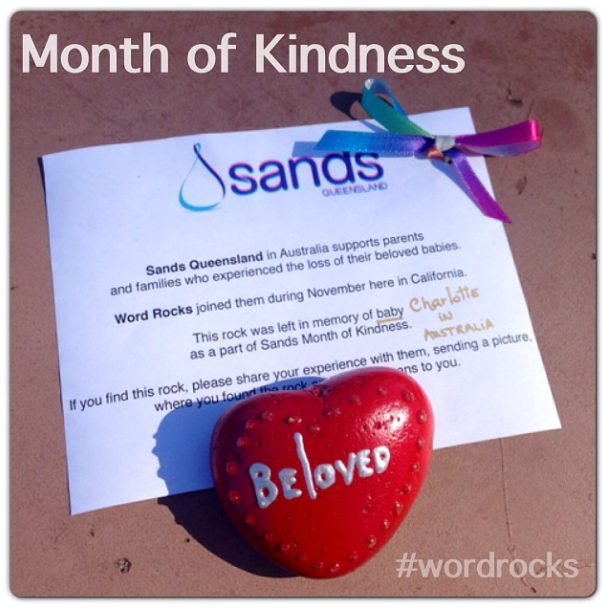 Today we started the Month of Kindness with@sandsqueensland . 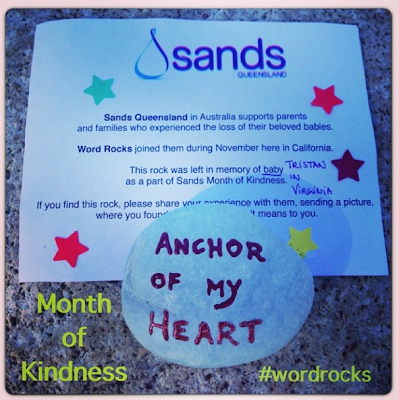 This 'word rock' was placed to honor the memory of baby Tristan from Virginia, US. And this one to honor the memory of baby Charlotte from Australia.